[UPDATED: Friday, October 19 at 5:10pm] A public hearing on 41 Summit Street will take place during the CB6 Landmarks & Land Use Committee Meeting on Thursday, October 25 at 6pm at PS 15 Auditorium, 71 Sullivan Street. COLUMBIA STREET WATERFRONT DISTRICT – A developer recently filed a zoning map amendment application requesting that an area on Summit Street be rezoned for a new seven story residential building. 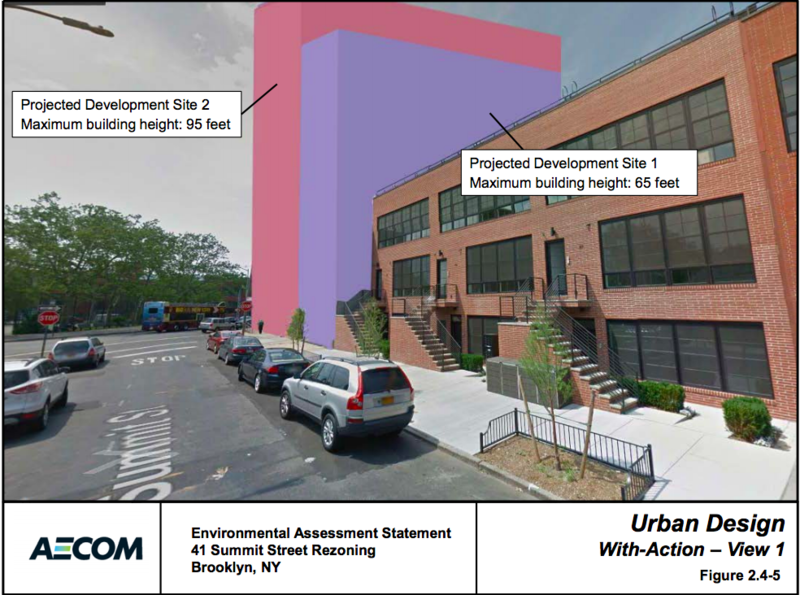 In order to replace a vacant two-story building at 41 Summit Street with a 65-foot-tall, seven unit residential development, the building owner has asked to rezone three tax lots—Block 352, Lots 1, 3, and 60—from M1-1 district zoning (light manufacturing) to R7A district zoning (residential) with C2-4 (commercial overlay), according AECOM’s Environmental Assessment Statement (EAS) for the site, which would increase the current Floor Area Ratio (FAR) of the property to 4.0. The applicant, 41 Summit Street LLC, “controls” Lot 60. If the amendment is approved, the three lots could be combined to create a nearly 8,000-square-foot plot with more than 23,000 square feet of residential space—allowing for approximately 34 apartments—and nearly 8,000 square feet of commercial space, according to New York YIMBY. The website notes that zoning amendment could potentially “induce the development” of neighboring properties in the Columbia Street Waterfront District. The rezoning request will go through the Community Board 6 review process this year before moving on to the city for approval, according to Patch. Bounded by Van Brunt, Carroll, and Columbia Streets, 41 Summit is located next to a Chase Bank and across from the Harold Ickes Playground. Construction is estimated to take between 16 to 20 months with the project scheduled to be completed by 2022. Is there any petition to stop this rezoning and putting a height restriction? 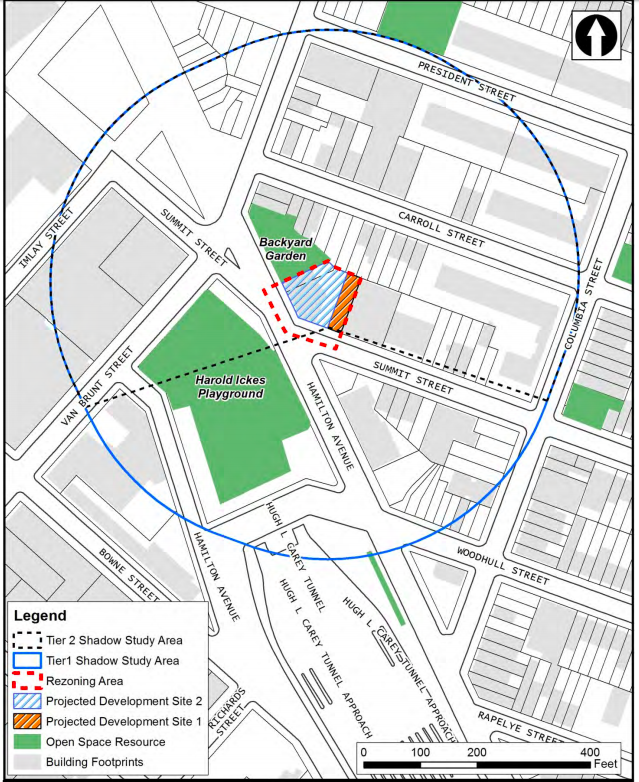 Was there a community board hearing on this rezoning request. Were the neighbors involved and are they OK with this height increase ? 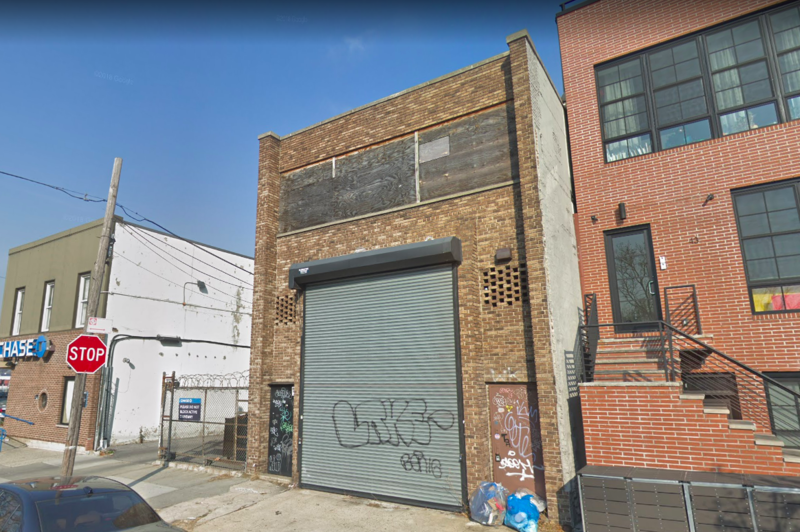 A public hearing on 41 Summit Street will take place during the CB6 Landmarks & Land Use Committee Meeting next Thursday, October 25 at 6pm at PS 15 Auditorium, 71 Sullivan Street.